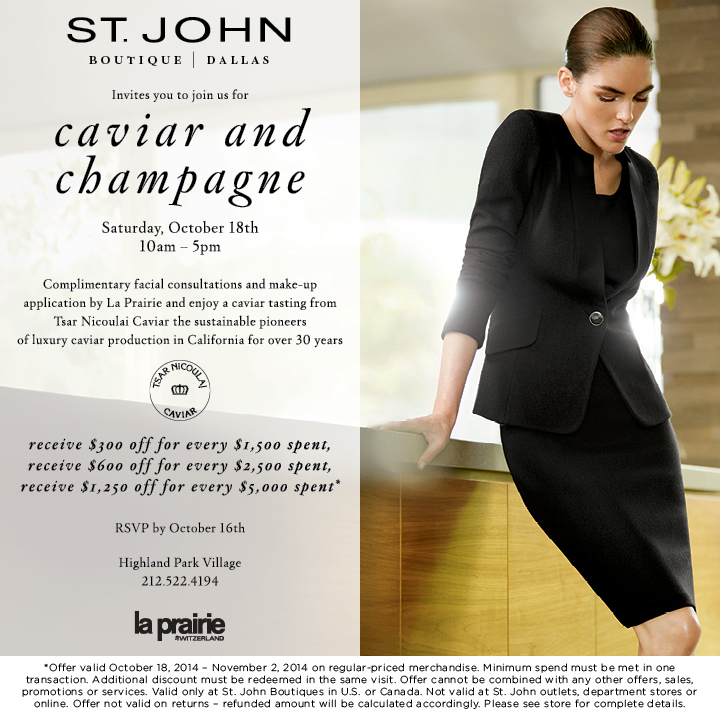 On October 18th, join our St. John boutique for their Caviar and Champagne Shopping Event with special promotions. The boutique is excited to be partnering with La Prairie for the special day. From 10am-5pm, enjoy a complimentary facial consultation and makeup application from La Prairie and enjoy a caviar tasting by Tsar Nicoulai Caviar – sustainable pioneers of luxury caviar produced in California for over 30 years. RSVP: 214-522-4194.